One of the more popular spots to run in the Porto area, this is another great beachside path. Just over the bridge from Matsohinos, a dedicated waterfront path goes along the Leça da Palmeira Beach for several km. Wide, sunny path with water views the whole way. Lots of pedestrians and cyclists. 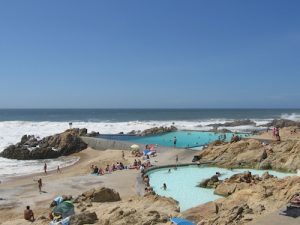 One cool feature of the Praia de Leça is the Piscina das Marés, outdoor swimming pools on the beach — great for a post-run dip! We’ve mapped 4 km one-way, but you can continue further north, although after another km or so there’s not as much of a beach view or path. 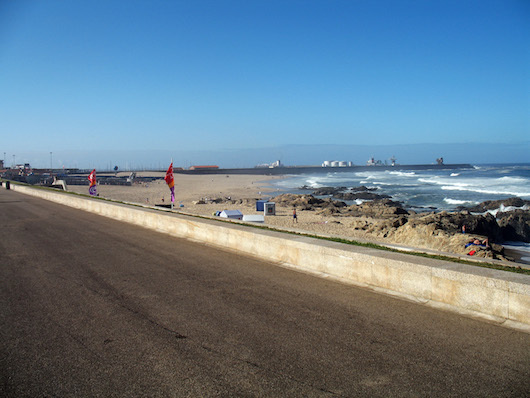 Add-Ons: South to Matosinhos, over the Movel Bridge, and run along the beachside path to Foz. Connects to several of our other Porto area routes.